ManCon:The Pasta Factory is all about handmade pasta – was it a natural step to focus on pizza for your second restaurant? Noi Quattro:Yes, actually it was. Obviously the most important and traditional dishes in Italy are pasta and pizza. We focused in the last three years on providing an authentic and fresh handmade pasta, and our customers really appreciated it and a lot frequently asked us why we wouldn’t add pizza to our menu. We always answered that we wanted to focus on one type of food and try to do our best to offer the best pasta. We’ve never been big fan of large menus with hundreds of dishes. We believe in the concept of a small menu with fresh dishes. Anyway, taking into account the requests of our customers and considering we love pizza, we decided to open a traditional Italian pizzeria following the same principles of The Pasta Factory: high-quality fresh ingredients, small and authentic menu, and good service! ManCon:But all pizzas are not made equally. What is it that makes the pizza at Noi Quattro’s so special? Noi Quattro:Our flour, our ingredients, our ovens and our pizzaioli! We use only a particular flour that nobody else in Manchester uses: Flour Petra from Molino Quaglia. Molino Quagliais a family business that from 1914 has milled only the finest grains. It is currently the only industrial-sided Italian mill to have developed a modern stone-grinding process that uses the most advanced technologies for cleaning the grain of foreign bodies, weeds and mycotoxins, in a production environment that protects the flour from external contamination, all the way from the millstone to the sack.Our topping ingredients are the best we’ve found in Italy, such as DOP Mozzarella fior di latte di Agerola and DOP San Marzano tomatoes, and 90% of our ingredients come from Italy. We have two artisan ovens made for us in Italy following the traditional Neapolitan techniques and using only the best materials available: handmade bricks from Santa Maria, old pressed bricks from Salerno, turf stones, “Biscotto” baking floor from Sorrento and Vesuvius volcanic sand. 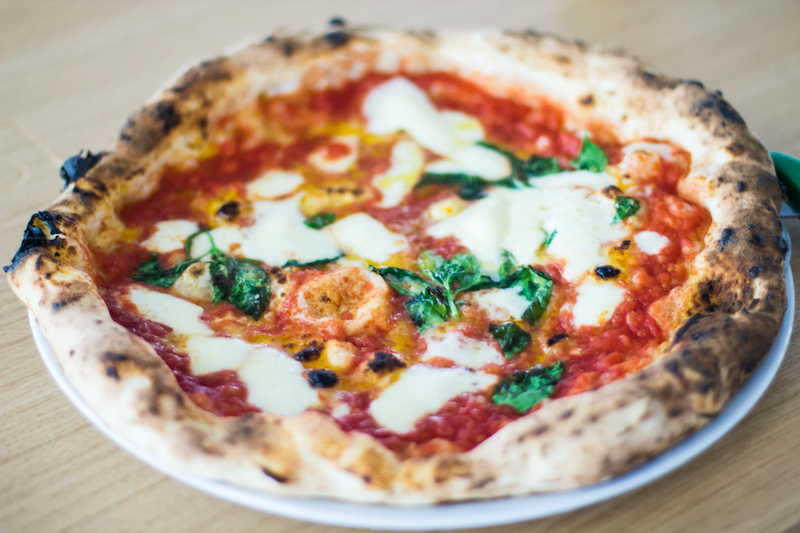 Finally, our pizzaioli from Naples add their experience of almost 20 years – and their secrets. ManCon:Why is the proving time so important? Noi Quattro:Our dough contains the right amount of yeast and is slowly proved, which makes it really easy to digest. 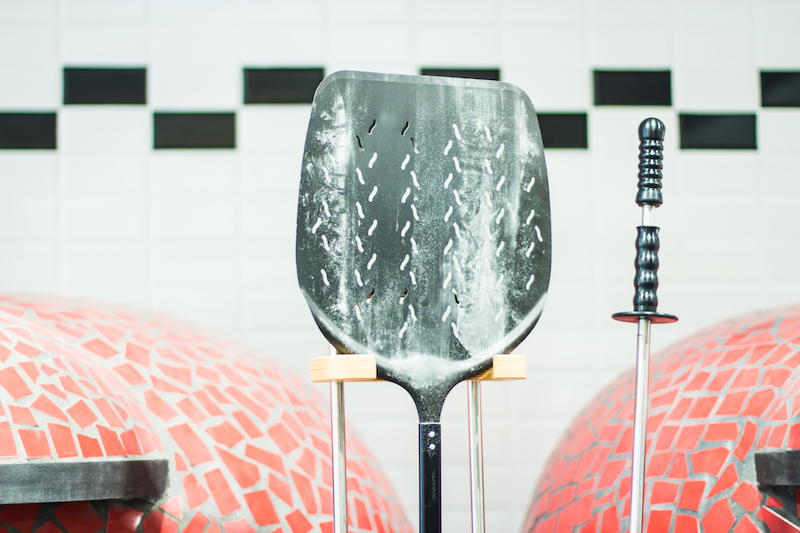 Our pizza cooks in less than 90 seconds but starts life at least 24 hours before. Time is the secret ingredient. 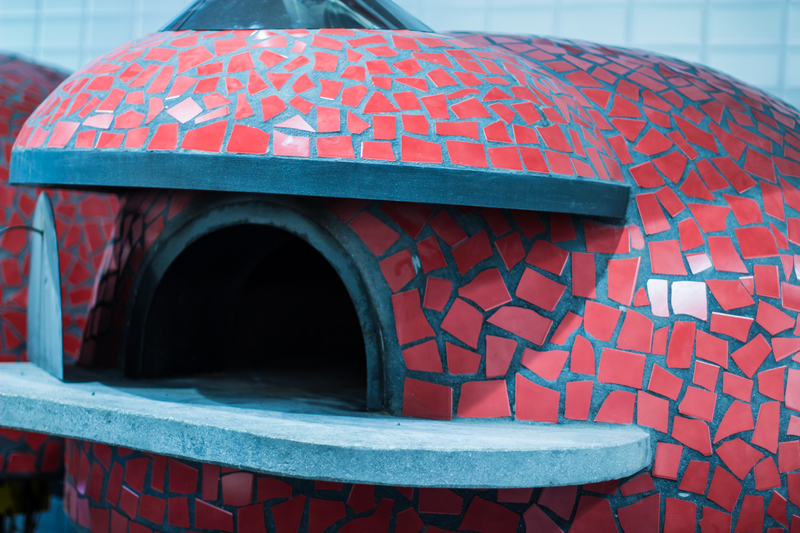 Following the Neapolitan tradition, with the dough left at the end of the day, our pizzaioli make bread for the next day to use in the pizzeria, at The Pasta Factory, and to sell to our customers. ManCon:Can you cook pizza in any old oven? Noi Quattro:No. In order to obtain this type of pizza, a combination of a particular dough and a particular oven is needed. The shape, the material and the temperature (about 450 degrees) makes it possible to create this kind of pizza that cooks in less than 90 seconds. ManCon:So once you’ve perfected the dough – how do you start deciding what toppings to use? Noi Quattro:With regards to the topping, we didn’t want to invent anything special, we just wanted to follow the Neapolitan tradition. For this reason, you won’t find any pizza with pineapple or chicken, or sauces like mayo or ketchup. ManCon:Is your house tomato sauce an old family recipe? Noi Quattro:This is another misunderstanding: we don’t cook any sauce to put on the top of our pizza. In Italy nobody does that. We don’t cook the tomatoes, we don’t dress it with garlic or herbs. Traditionally, Italian pizzaioli use high-quality fresh Italian peeled tomatoes and squeeze them with their hands. ManCon:But you don’t just make pizza from your special dough, do you? How else do you use it at NQ? Noi Quattro:That’s true. Like in Naples, we also use our dough for some of our starters and desserts by frying it. Cuoppo is a cone-shaped paper that holds a mixture of delicacies – potato croquettes, vegetables, courgette flowers, mozzarella bocconcini and fluffy balls of dough called zeppoline – all cut and fried in a light and easily digestible batter. Cuoppo is a masterpiece of Italian street food. It’s made to be enjoyed while walking through the alleys of the city, passing balconies festooned with washing, or simply while waiting to order a pizza. We also make calzuncielli, a deep-fried calzone filled with tomato and mozzarella (also known as pizza fritta), and scugnizzielli – bites of fried dough served with top-quality ingredients such as 18-month-old Parma ham, buffalo mozzarella, burrata, etc. ManCon:What else can you tell us about NQ’s authentic taste of Italy? Noi Quattro:Apart from these great ingredients, we also import our beers and wine directly from microbreweries and vineyards in Italy to offer to our customers the best ratio of quality and priceon our drinks as well. Sounds perfetto! Find out more here.